Arctic Dress. 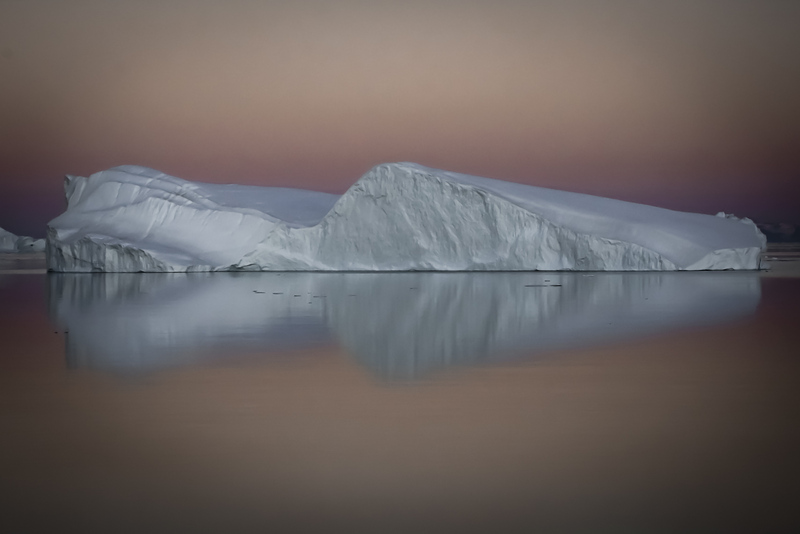 An iceberg reflects onto the still waters within the Scoresbysund Fjord system on the eastern coast of Greenland. Surreal colors linger and shift throughout the long summer dusk, an exquisite element of change within the silence. July 2007. Exhibited in The Art of Travel Photography at The Vermont PhotoPlace Gallery (Juror: Kurt Mutchler, Senior Editor, National Geographic); Exhibited in Mainland at The Kiernan Gallery, Lexington, VA (Juror: Stella Kramer).